220 pages | 10 B/W Illus. "This path breaking collection reminds us what an energetic enterprise remembering is. Better than any previous scholarship, it also illuminates the necessity of crafting silences in memory projects and illustrates that they are so much more than the result of forgetfulness." 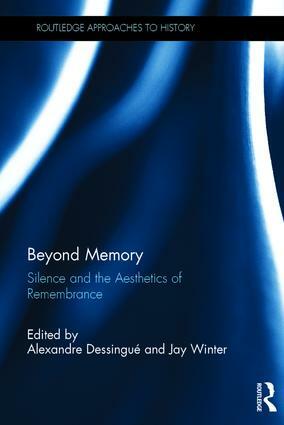 "Beyond Memory: Silence and the Aesthetics of Remembrance marks a key moment in the burgeoning field of memory studies. The editors and authors steer a clear path through a complicated conceptual terrain to provide convincing responses to the central issue of "silence". Too often framed as inherently negative or compartmentalized within memory, the various case studies within this book rather demonstrate how "silences" are socially constructed and productive in profound cultural, political and intellectual ways. For both students and seasoned scholars, this collection will do exactly what excellent academic books should do, it will stimulate further critical thinking and research." Alexandre Dessingué is Professor at the Department of Cultural Studies and Languages at the University of Stavanger. His previous publications include Le Polyphonisme du roman (2012) and, co-edited with Olivier Ryckebusch, Dunkirk: City of Memories – Dunkerque, ville-mémoire (2011).